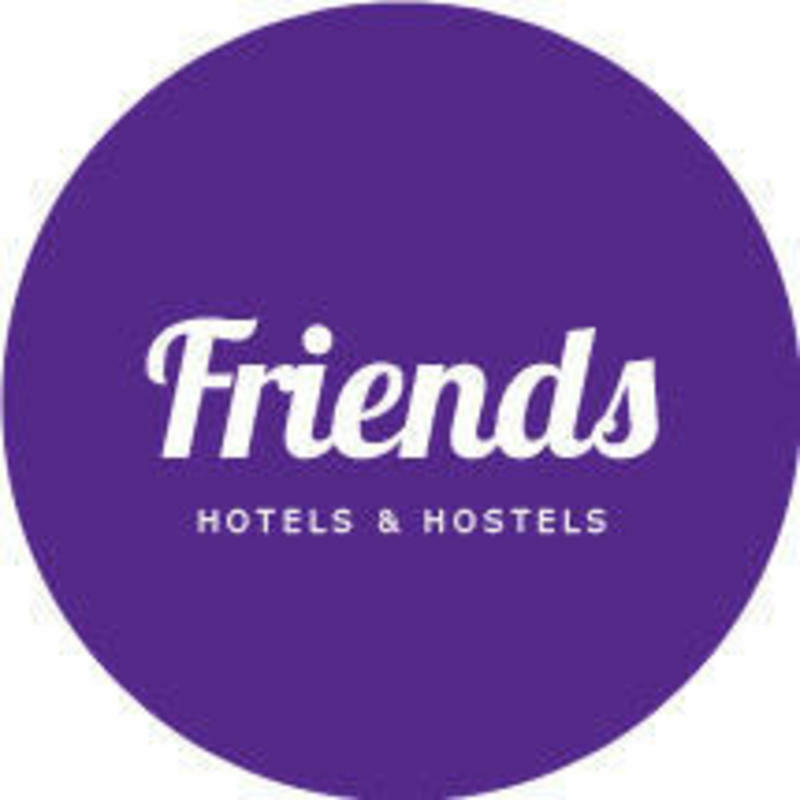 FRIENDS HOSTEL - BANKOVSKY is situated in the very center of the city, close to most famous \'must see\' places in St. Petersburg, a few steps from a range of bars, clubs and restaurants, not far away from Sennaya square and all the Dostoevsky locations. ROOMS: private 2-, 3-, 4- bed rooms with additional beds, and 6 bed female and male dormitory rooms, which include private lockers. Bed linen, blankets and towels are available and included FREE of charge. FACILITIES: shared separate shower cabins and toilets, a little small, but very clean, located on every floor. We have a free iron and ironing board, washing machine and hairdryer. COMMON AREA: there are two living rooms where everyone can enjoy free drinks (tea or coffee) and tasty cookies, meet new friends, watch movies on the big plasma TV, play different table games (we have a lot of different kinds) and play on a big fussball (a.k.a. table football or kicker) table. SHARED KITCHEN: there is also a kitchen corner where everyone can cook their favorite food. The kitchen is equipped with a microwave, a fridge and has all the necessary dishes. OUR FREE SERVICES will help you to save some money. We offer our guests wi-fi and Internet access on the guest computers, International calls, tea and coffee, city information, umbrellas for rent, luggage room, wake up call and much more. OUR STAFF are English-speaking, very friendly and always ready and happy to help our guests. We have a 24-hour reception and are always able to sort out any problem, give information about getting around St Petersburg, arrange transportation or organize walking tours around the city or excursions to nearby picturesque Tsar palaces. Cleanliness is our priority, thats why we have an excellent maid service. WE HAVE no curfew or lockout. There is also no age limit. We are happy to meet and greet everyone! When the weather allows, its possible to rent a bicycle directly from our own rent-a-bike center. We look forward to providing accommodation for you and your friends during your stay in St Petersburg! 1. To feel like a local Petersburgian staying in the heart of Saint-Petersburg. 2. To enjoy the mix of economy and comfort. Our rooms are clean and cosy and prices are friendly! 3. To call up all of your friends abroad, wherever they live - Paris, New York, Tokyo, Beijing, Moscow or even Sydney absolutely free! 4. To feel friendly atmosphere and recharge your batteries, taking many smiles and giving back the equal amount. 5. To find new friends from Russia and other countries. CLOSEST METRO STATIONS: Sadovay (Садовая) 10 minutes walk, Sennay ploschad (Сенная площадь) 10 minutes walk, Gostinnyi dvor (Гостинный двор) 15 minutes walk. Take a metro and get off at the Sennay Ploschchad metro station (станция метро Сенная площадь). Walk along Sadovaya street, turn left on Bankovskiy pereulok, second building from the corner is where our hostel is situated. Press the intercom button for entry. From Pulkovo 1: take bus № 39, get off on Moskovskay metro station stop (метро Московская), then take the metro and get off at Sennay ploschad stop (Сенная площадь), walk 10 minutes until you reach our hostel. Walk along Sadovaya street, turn left on Bankovskiy pereulok, second building from the corner is where our hostel is situated. Press the intercom button for entry. From Pulkovo 2: take bus №3, get off on Sennay ploschad (Сенная площадь), walk 5 minutes until you reach our hostel or take bus № 13 or №113, get off on Moskovskay metro station stop (остановка Метро Московская), then take the metro and get off on Sennay ploschad stop (станция метро Сенная площадь), walk 10 minutes until you reach our hostel. Walk along Sadovaya street, turn left on Bankovskiy pereulok, second building from the corner is where our hostel is situated. Press the intercom button for entry. Enter the metro station Ploschad Vosstania (Площадь Восстания), get off at Sennay Ploschad metro station (станция метро Сенная площадь) and walk 10 minutes until you reach our hostel. Walk along Sadovaya street, turn left on Bankovskiy pereulok, second building from the corner is where our hostel is situated. Press the intercom button for entry. Enter the metro station Ladozhskaya (Ладожская), get off at Sennay Ploschad metro station (Сенная площадь) and walk 10 minutes until you reach our hostel. Walk along Sadovaya street, turn left on Bankovskiy pereulok, second building from the corner is where our hostel is situated. Press the intercom button for entry.